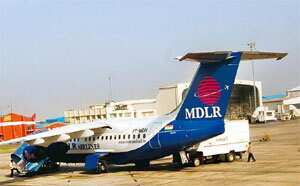 New Delhi: Gurgaon-based MDLR Airlines Pvt. Ltd, which serves mostly north Indian destinations, has grounded operations amid regulatory findings that the carrier had flouted safety norms. The airline is “not shutting down", said Koustav M. Dhar, chief operating officer of MDLR, confirming that both its “What make" planes are grounded. The airline will take a call on operations on 14 October. “We will do some restructuring," he said. “We are going to be looking at being leaner and meaner." DGCA issued a show-cause notice to the airline, owned by realtor Murli Dhar Lakh Ram Developers and Promoters Pvt. Ltd, in mid-September. The airline, which employs 264 people, is yet to comply with the regulator’s directions. MDLR also faces cancellation of its scheduled regional airline licence if it cannot comply with the guidelines, which mandate at least three operational aircraft within the first year of operations. “We haven’t had any operations from 8 to 13 October," said an airline official who didn’t want to be named because he’s not authorized to speak to the media. Of MDLR’s two aircraft, one has been grounded for some months now. The second plane, which had been flying 14.5 hours a day, has been grounded due to the lack of “two critical spare parts" and passengers have been adjusted with other airlines, Dhar said. Most regional carriers given licences since 2007, when a new policy was introduced, have not been able to start operations. These include Star Aviation Pvt. Ltd, which was to operate in south India, and ZAV Airways Pvt. Ltd, which was to start North-East flights. Earlier this year, another north India carrier, Jagson Airlines Ltd, pulled out its scheduled operations and moved into non-scheduled flights.